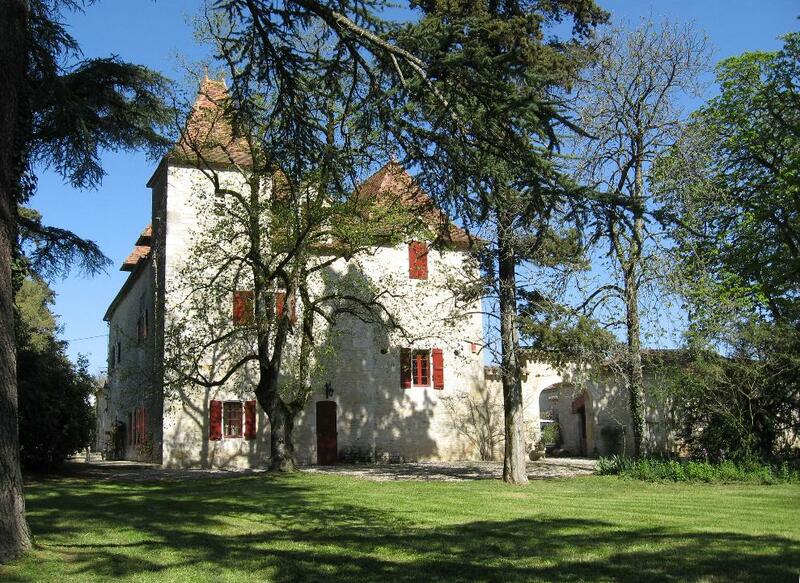 Chateau du Trichot is in Aquitaine / Lot-et Garonne, near Tournon d'Agenais. 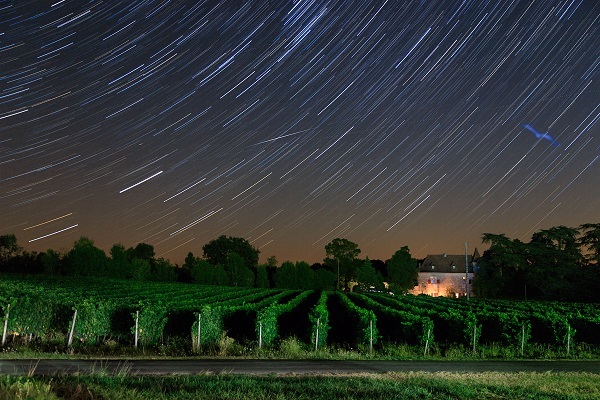 This is one of the prettiest and most interesting regions of France for a holiday, noted for excellent food & wine. Tournon is a hilltop bastide town, also dating from the 12th Century. There are many ancient chateaux and mediaeval towns to explore, easy canoeing on the River Lot and some of the biggest underground caves in Europe, including Peche-Merle with its prehistoric cave paintings. Trichot has its own large (6m x 12m) swimming pool (recently fenced -see photo) and tennis court. Also provided is table tennis, TV , hi-fi and a grand piano. There is a King size four poster bed (with a modern comfortable mattress!) in the huge master bedroom. Sleeps 15 in 6 bedrooms total, 3 with en-suite bathrooms, 2 more bathrooms. 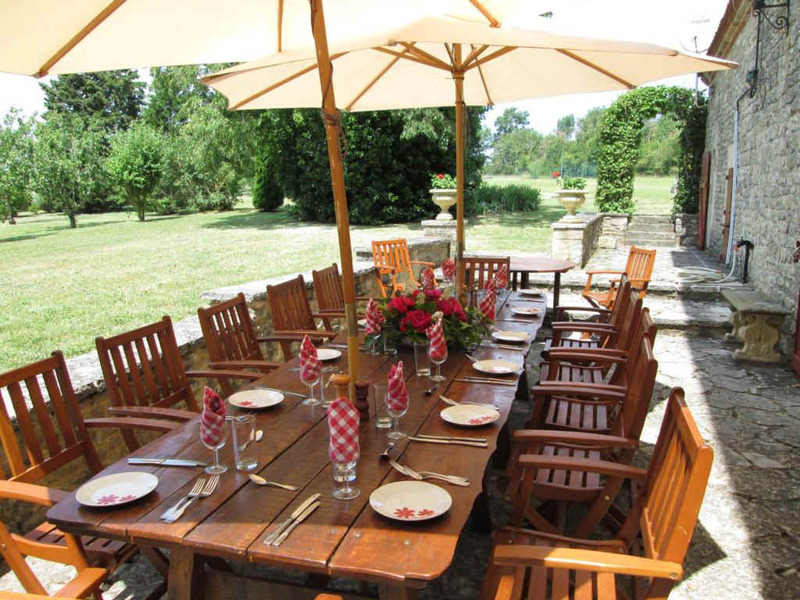 The private Courtyard has a barbeque, and there are 18 acres of surrounding land, including its own vineyard, with views across beautiful countryside. 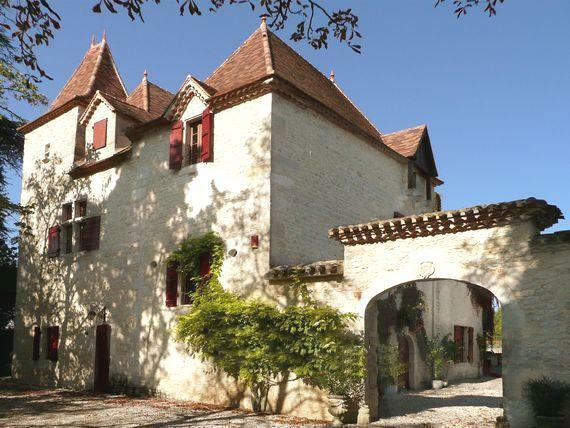 An adjacent cottage is available (only let with the chateau) to provide 3 more large double bedrooms, bathroom and living space. A huge barn is available for wedding receptions etc, with capacity for up to 200 guests. Tables and chairs can be provided together with details for appropriate caterers. On entering Trichot one sees the enormous stone staircase, and the whole ground floor has stone vaulted ceilings. Upstairs the ceilings are tall, with massive oak beams. Very comfortable. Large stone fireplaces. The Kitchen has 2 electric ovens, micro wave, gas hob, dishwasher and 2 large fridge/freezers. A washing machine and tumble drier are also provided in one of the ground floor bathrooms. Central heating in Winter is available at cost. The Rent includes maid service 3 times per week, linen and electricity. 50% of the rent payable at time of booking, balance 6 weeks prior to occupation, plus a deposit against damages and use of telephone and central heating, which are both metered and charged at cost. Fax and Internet ADSL DSL Broadband (wireless wifi & direct) available. 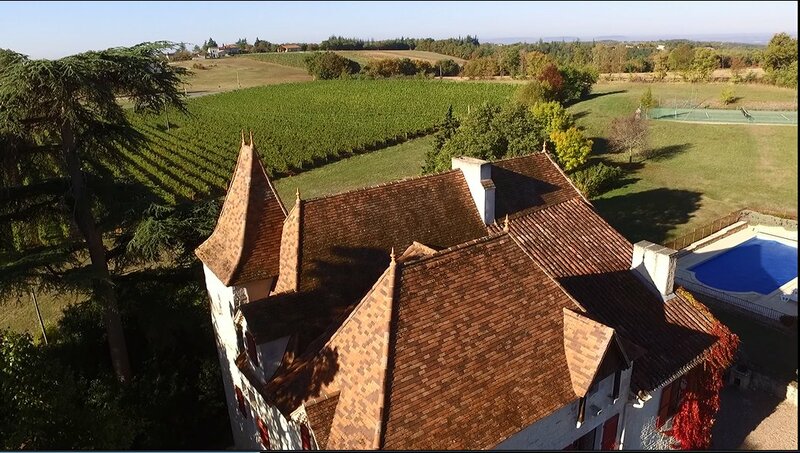 To book Chateau du Trichot, please call us on (+44) 1635 291942, Mobile (+44) (0)7787 550413, or call James & Nancy on (+44)(0)1256 861799. Alternatively E-mail via the link above, or even write to us (see Top Page ). Finally, this amazing picture was taken in 2016 by Jeremy Roussak !